It’s been a tough weekend at the tiny Sechelt-Gibsons Airport on B.C.’s Sunshine Coast. On Friday, the pilot of a Piper Cherokee died in a crash about 1.5 km from the field. There were three family members on board as passengers and all managed to get out of the wreck and seek help at a nearby residence. Other family members reportedly witnessed the crash from the airport. 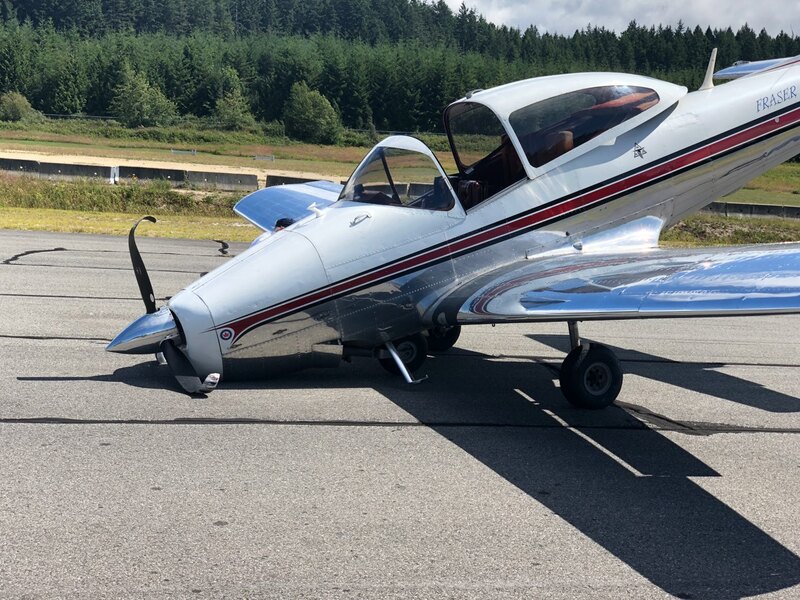 On Saturday, a Navion aircraft flown by a member of the Fraser Blues air demonstration team was significantly damaged when its nose gear collapsed on the rollout after landing. There were no injuries but the repairs will be extensive. Rudy Hoffman took the photo.